Home Advertorial dates food Marina Bay Sands, Helix Bridge. Marina Bay Sands, Helix Bridge. Okonomiyaki! For those who arent aware, Isetan Scotts' Japanese Supermarket flies chefs over to make us these delicious authentic Japanese food! and manage to catch the auditions of the 10th Suntec Dance contest! There are junior dancers as well!! Managed to catch the last junior performer! She's only 6 years old but really smooth with her moves! Left Marina Square for Helix Bridge! It was really quiet at Suntec and Marina Square! Almost like a ghost town! All the people must be visiting this place! Walked down to The Shoppes at Marina Bay Sands! Was really excited when i saw this!! Sampans in the shopping centre!!! pretty ladies playing their cello and violins! There were many people trying their luck at tossing coins into the hole in the middle! I have no idea why! But there were alot of people tempted to do so! We were interested in seeing where the money went! It was Ippudo Tao at UE! This ippodu serves different ramen from the Ippodu at Mandarin Gallery! Besides getting this dress from Almost Famous, I got another piece! The quality of the pieces are really good! Wore the dress to work! It's funny how you take pic of yourself and pretending like you are not aware of your pic being taken. HAHAHA. Very fake cos can see your hand stretched out to take your own pic! Do you ask your bf to take pics for you everywhere or he volunteer each time? You obviously went out alone as you were alone in the lift and you have someone taking your pic as you walk out of your house. Why? Sorry if I sound rude. I am really curious. If you really like taking pics so much or it is for blogging purpose. what color dress would you suggest short petite girls to wear? sweet pink? maroon? black? navy blue? i love your skin tone! do you tan? and just curious... what do you work as? hello zoe:)like to ask u for e 2 dresses in this post, need to wear safety shorts/shorts inside?worry it might be sheer/short..i'm 1.63m tall..think is same as u:)thanks! Hello! Of course i take pictures cause of blogging! (: The pictures focus should be on the clothes esp. when you see my very fake pictures of my hand! haha! And for that picture, Daddy took the picture for me before i left the house. I don't see anything wrong with having a picture taken tho im going out alone. Haha! Hello! There is no specific colors that a petite girl should wear! (: It actually depends on skin color! Its been sometime since my last tanning session! Last piece from Wisma's cotton on!!! (: Good buy! No need dear! (: The chiffon dress (2nd one) is actually quite long! The other one is slightly shorter but still no need for safety shorts! KPOH,WHAT KIND OF QUESTION IS THAT FOR A MODEL? THESE COMMENTS ARE REALLY UNNECESSARY.RIDICULOUS! 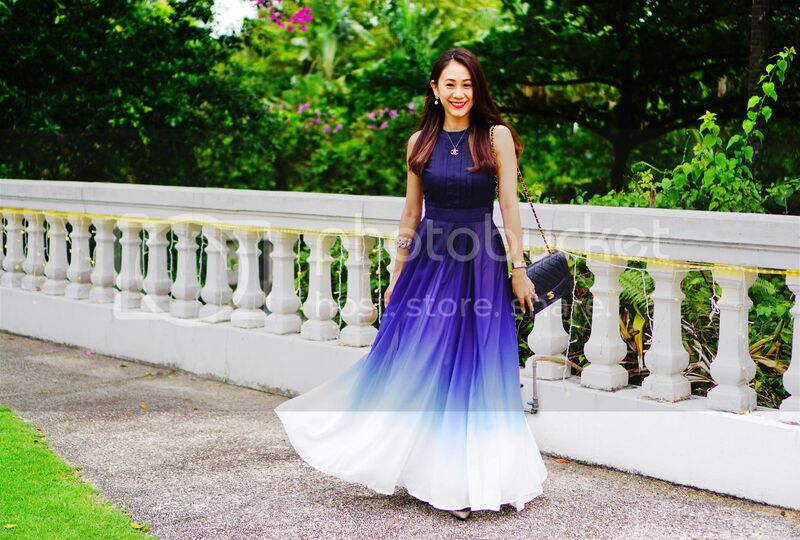 If you are selling away your floral dress (almostfamous.com.sg) do let me know okay?